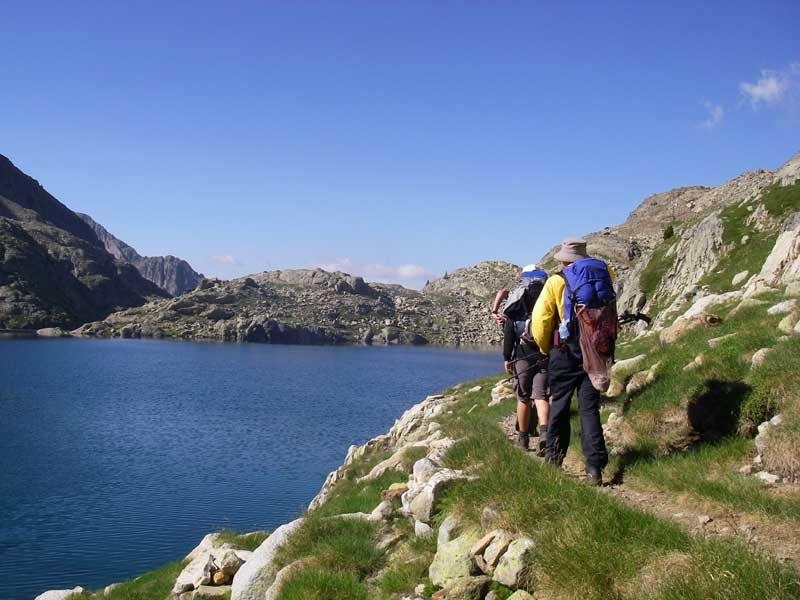 Our Pyrenees trekking holidays offer a chance for walkers to get out into the high mountains and experience the true wilderness of the Pyrenees. There’s nothing more satisfying than a point-to-point walk in the mountains, a journey covering many miles over days or weeks. 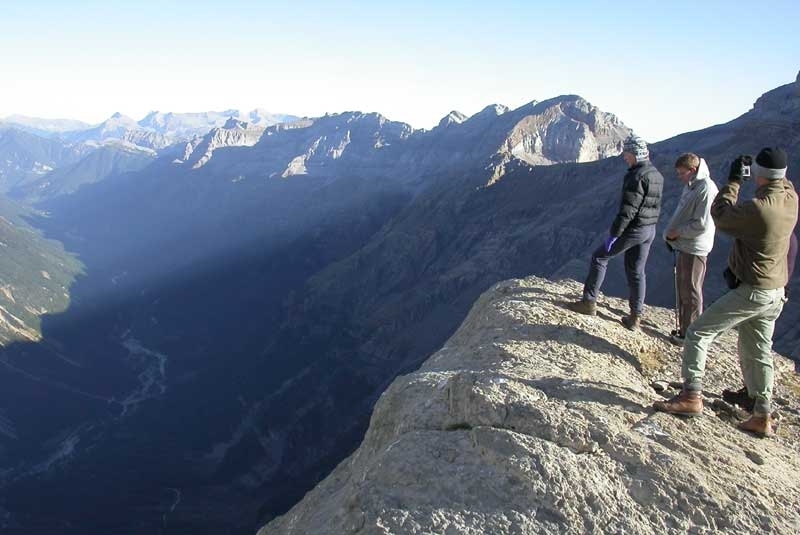 Standing on the highest peaks, you can view your distant beginning, and look towards the coming route, stretching away as far as the eye can see. Staying high up in remote mountain refuges, we’ll watch the sun set behind shadowy ridges, and depart early in the morning while the peaks glow in the dawn light. Magical. 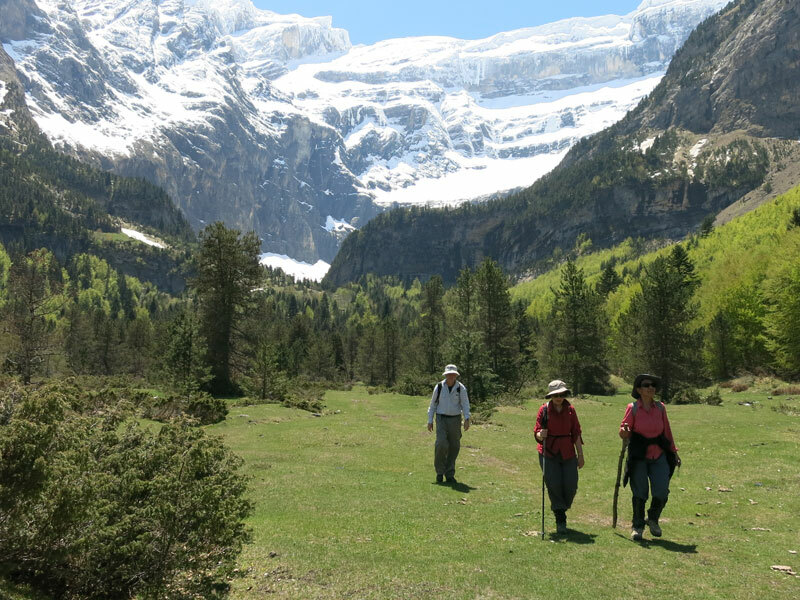 If you want to get out into remote areas of the Pyrenees, reaching the highest peaks and enjoying the most stunning views, one of our guided trekking holidays would be ideal for you. 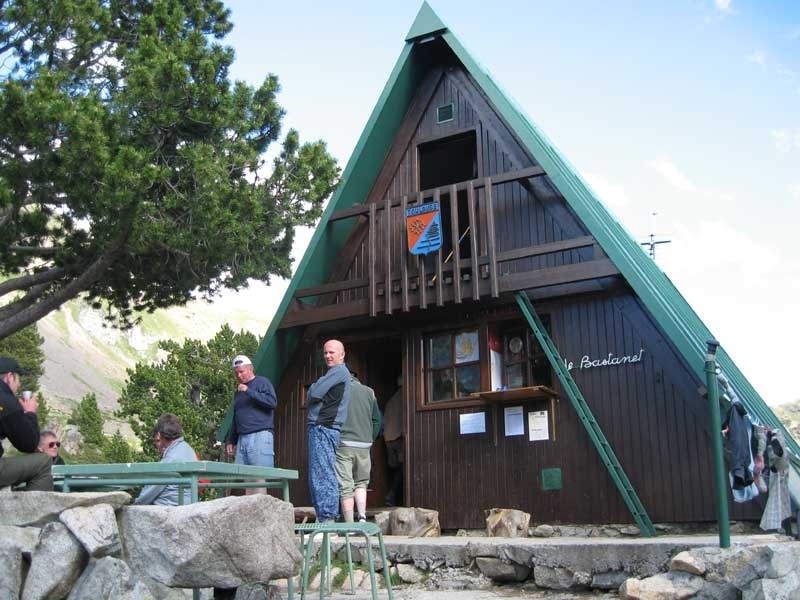 We offer different weeks, our most popular following the HRP (Haute Route Pyrénées ). 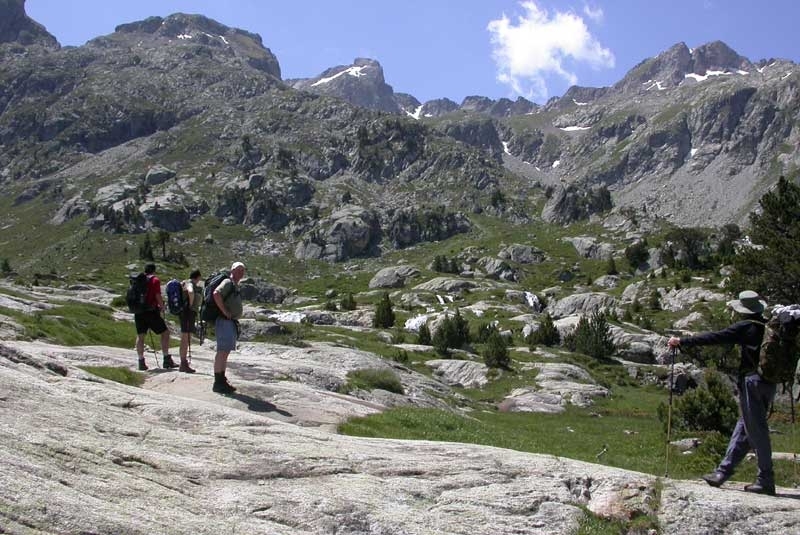 We also offer tailor-made treks for groups of 4 or more. 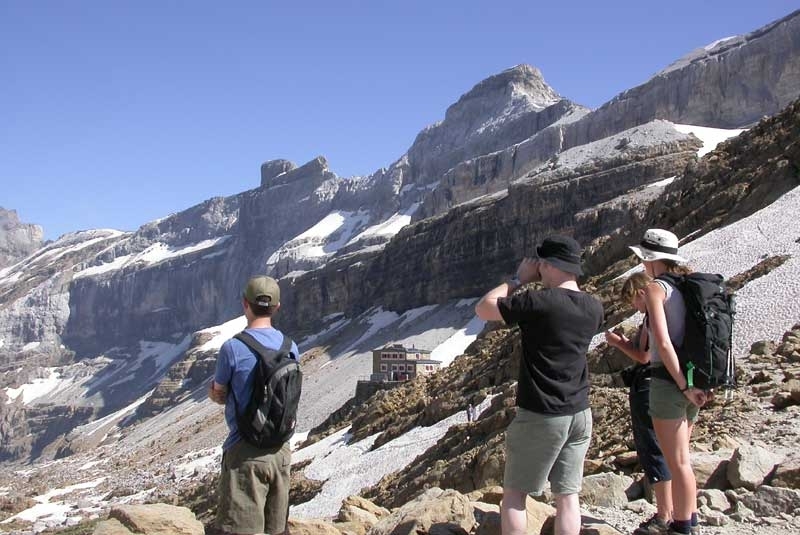 Your guide takes care of all the navigation, arranging nights in mountain refuges. 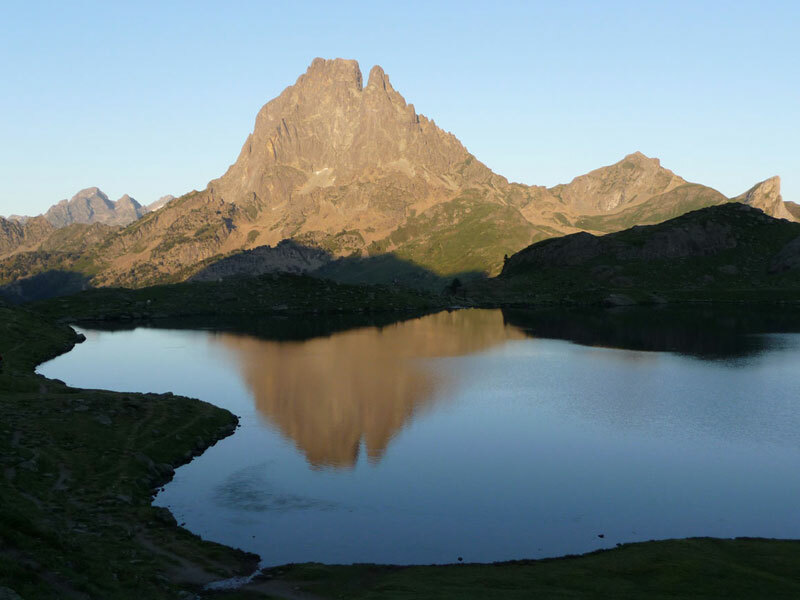 There’s no standing around with a map and compass wondering if you’ve taken the right route and if you’ll ever reach that refuge before sunset…all you need to do is hike for an average of 8 hours a day and enjoy this unspoilt, enchanting mountainous region. What do we do and see? 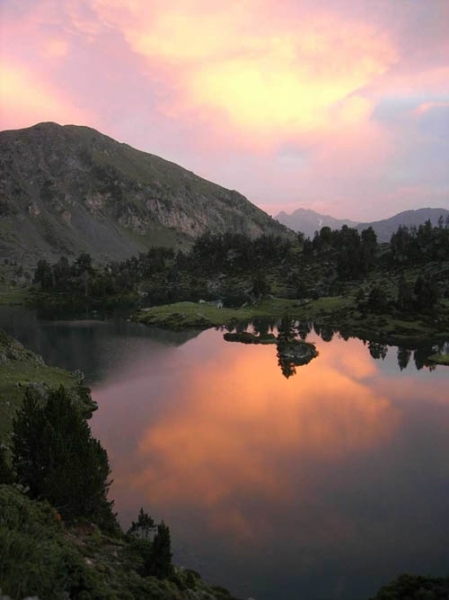 The Pyrenees mountain chain stretches unbroken from the Atlantic to the Mediterranean coast, forming the border between France and Spain. 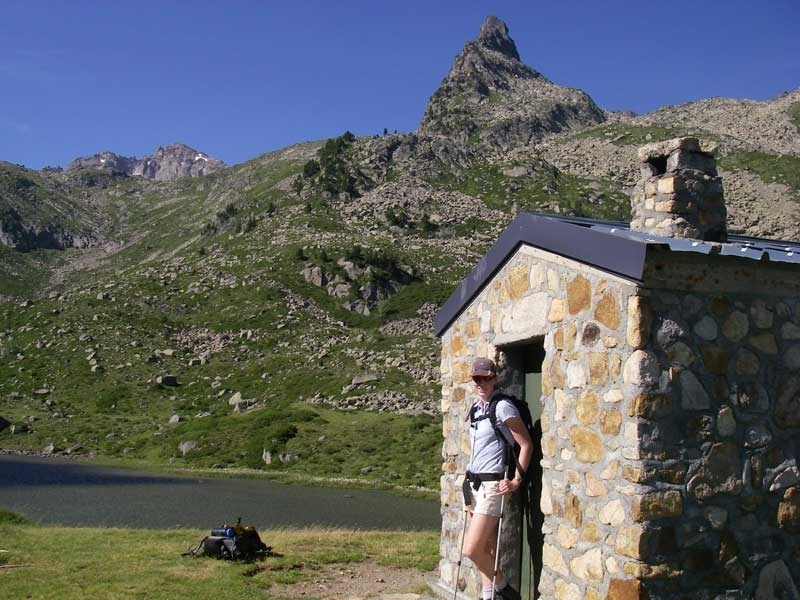 We currently offer guided treks on the HRP “Haute Route Pyrénées ” or Pyrenees High Level Route. 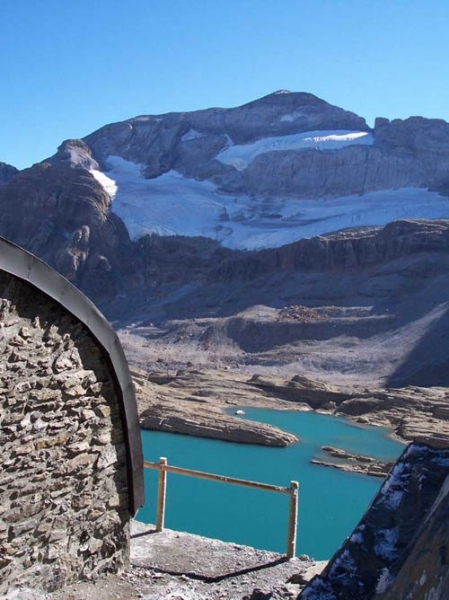 This high-mountain hiking itinerary follows the French-Spanish frontier, for the length of the Pyrenees, across the wildest and most spectacular peaks and passes. 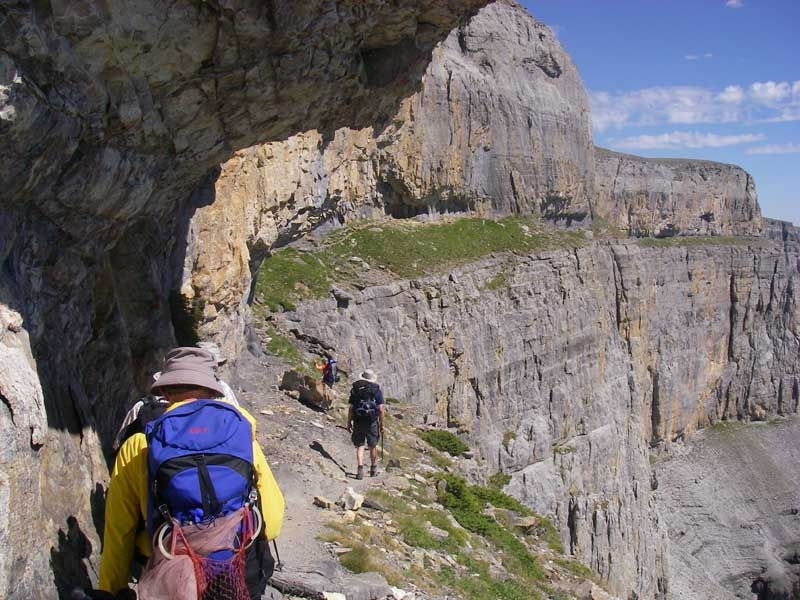 For an example of diffculty please note that the HRP is considered to be more challenging than the Tour de Mont Blanc trek. What fitness level do I need? 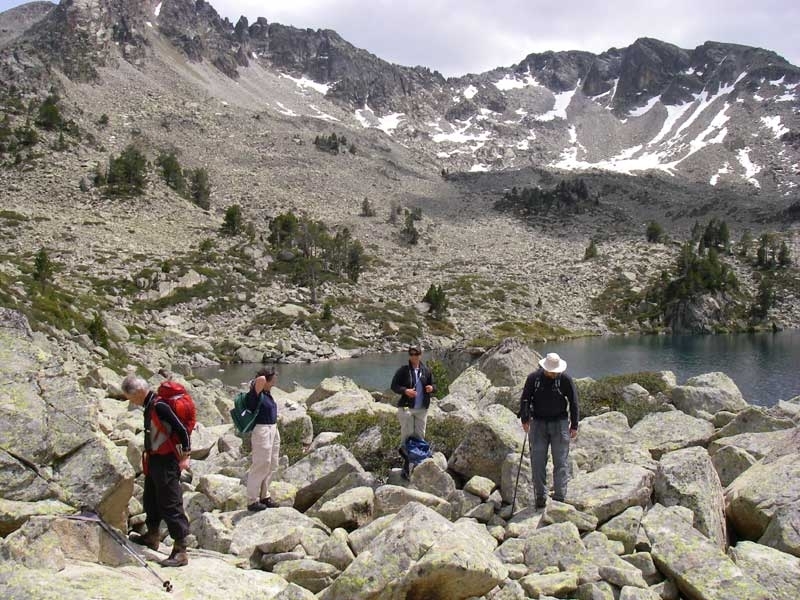 All of our trekking holidays are for the experienced hiker. 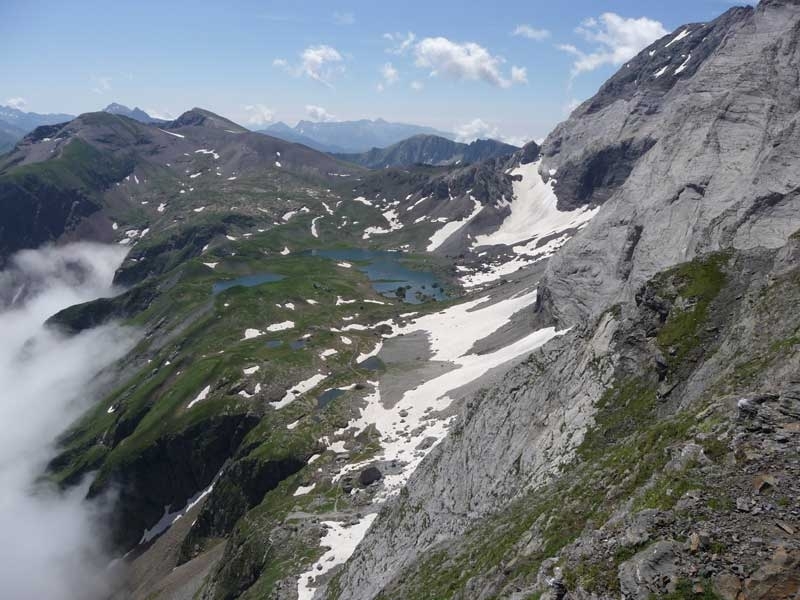 The days can be long (7 to 10 hours hiking), and a typical day might include 1000-1300m of ascent and descent. 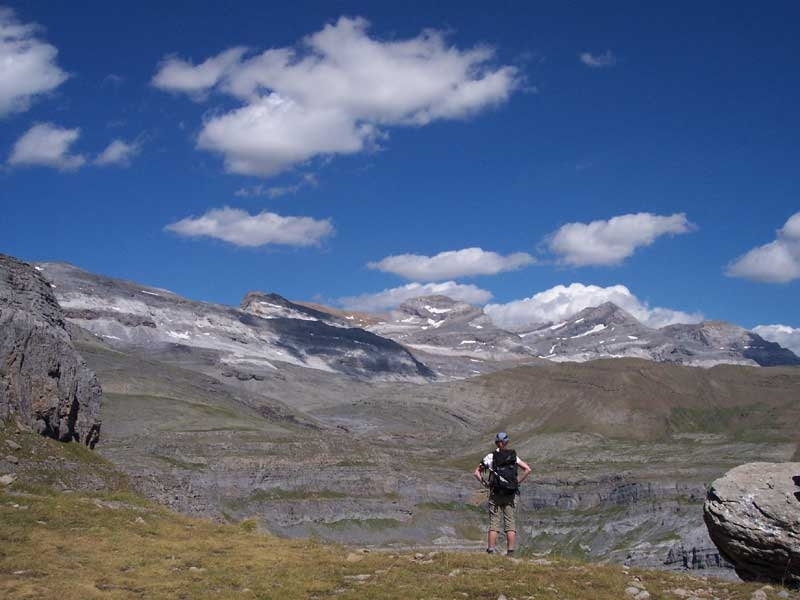 There are long sections off-path through extensive boulder fields as well as short but steep scrambles. 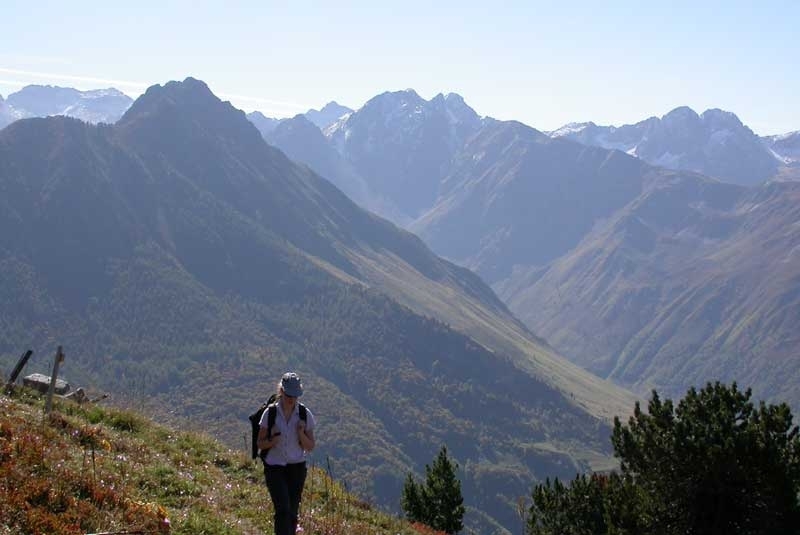 Following a set route, with pre-arranged overnight stays at the remote mountain refuges, our trekking holidays require commitment, so you must be trail fit and prepared for your holiday. 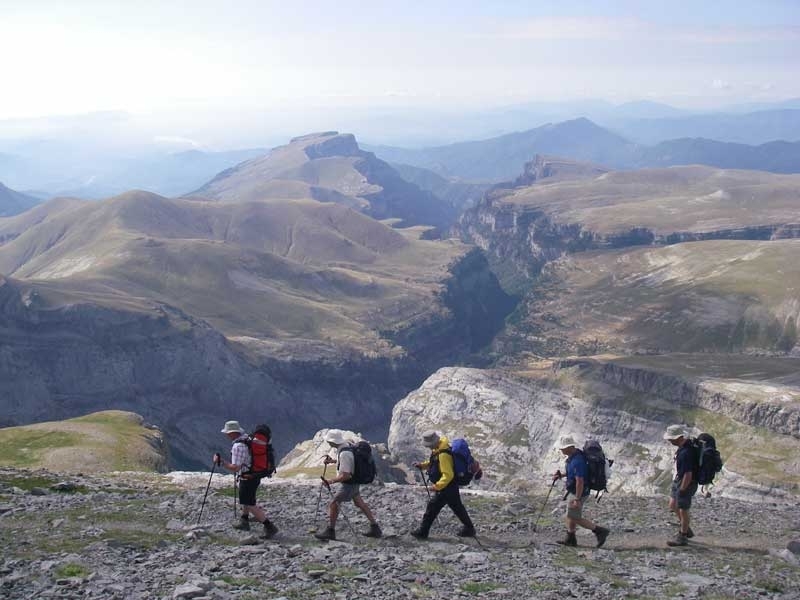 We recommend that you undertake some pre-training prior to departure to build up your fitness and stamina; ideally mountain walking (also a good opportunity to break-in new boots, road-test your kit etc), but regular swimming/aerobics/gym will also be good preparation. 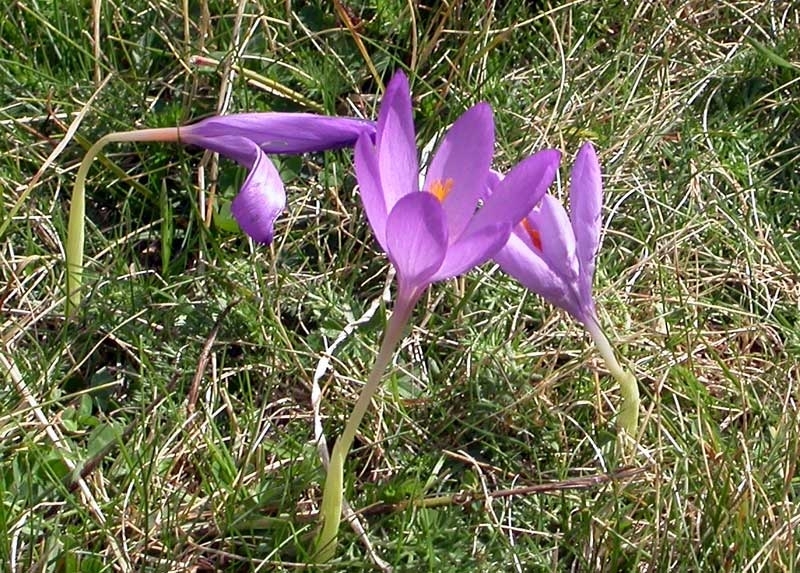 Please contact us if you would like advice on training for hiking the HRP. 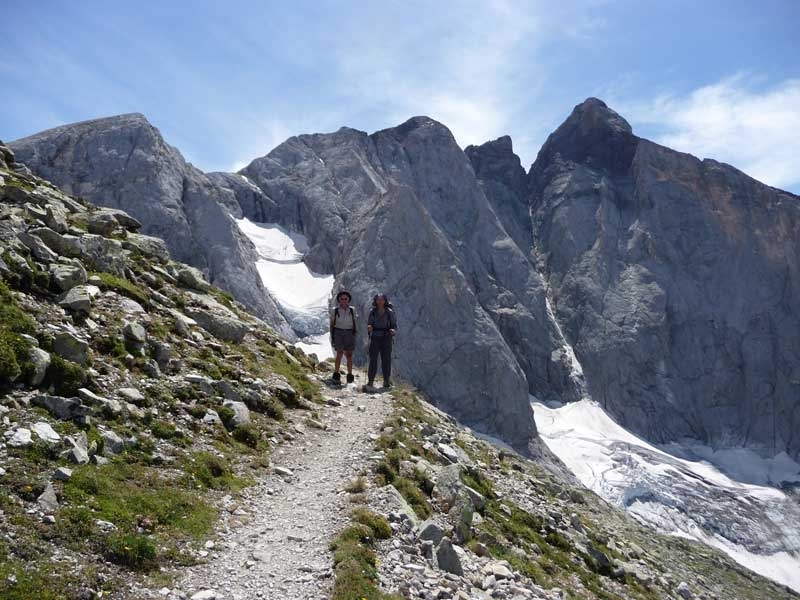 You’ll always be with a qualified International Mountain Leader, and the emphasis is on hiking. 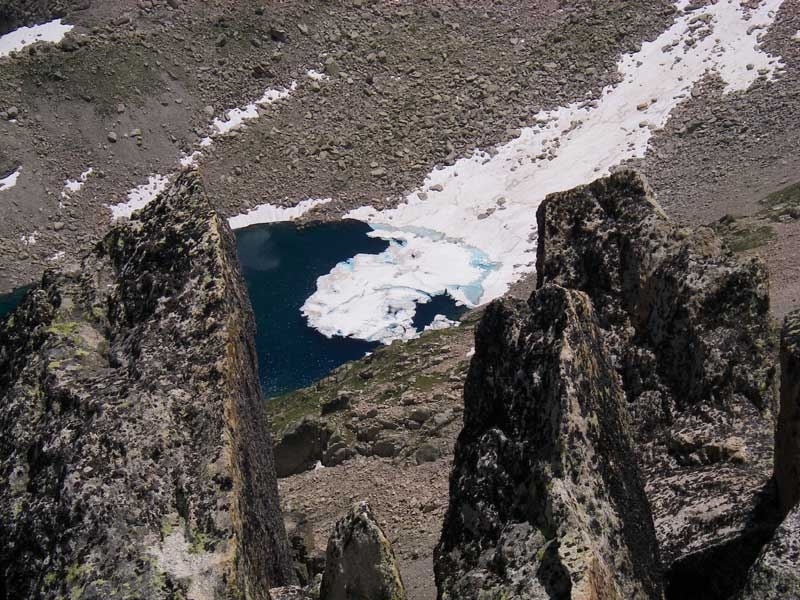 We do not use the techniques of Alpinism (with climbing equipment or crampons/ice axes) but there may be some short sections of route protected by a rope. 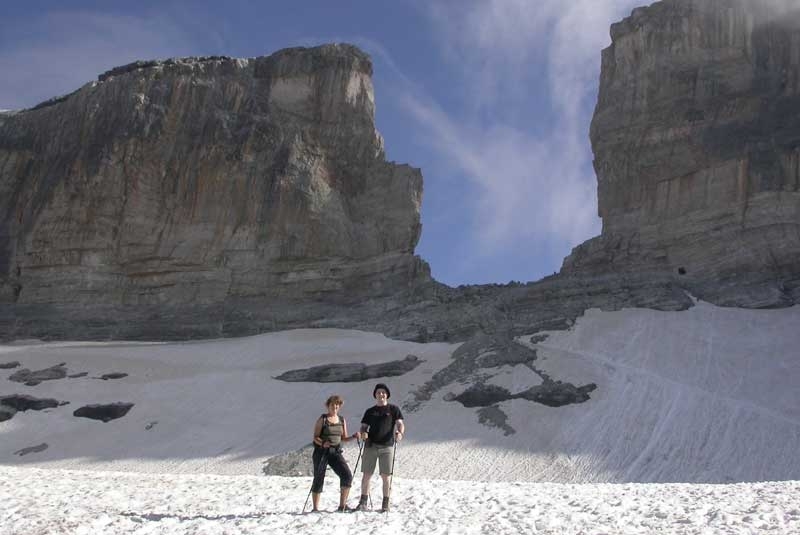 If you’d like to try some technical climbing or glacier routes, we can arrange a local high mountain guide for you. 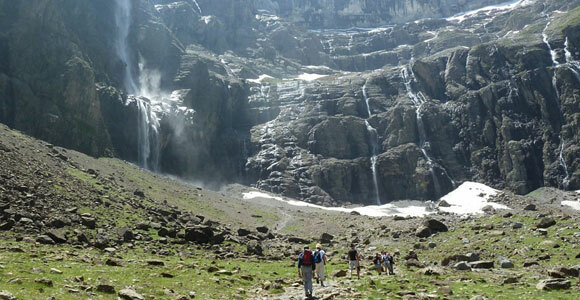 Now choose your trekking holiday then contact us to book.